Nintendo of America has gone amiibo crazy in its latest press release, confirming some interesting details for upcoming releases. 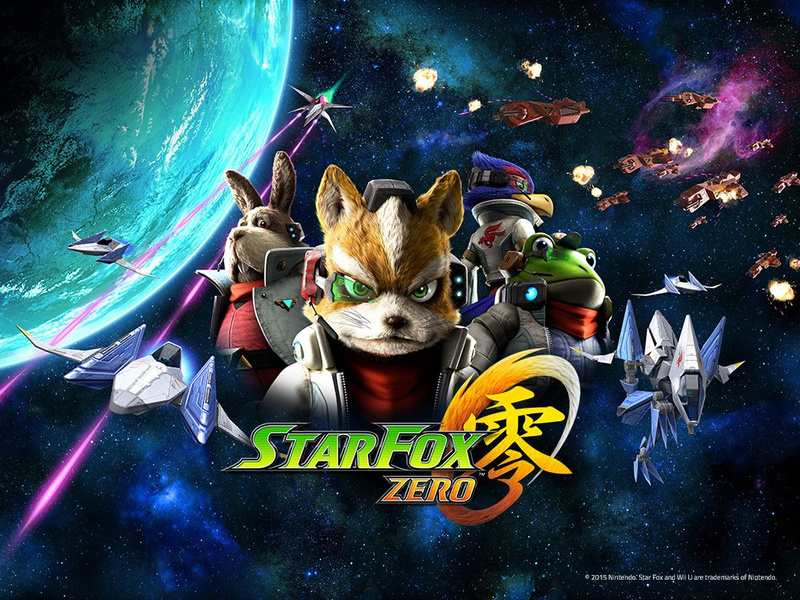 Let's start with Star Fox Zero. Back in November last year website logos and mentions of the Nintendo Network and amiibo had fans dreaming of potential features for the April release. Nintendo has now 100% confirmed that there'll be amiibo support in the upcoming Wii U title, proving that the mentions on the official website weren't any kind of error - details on this compatibility "will be revealed at a later time". There's also confirmation that the next series of Animal Crossing amiibo cards will also launch in March, apparently taking the collection to 300 in total. Further confirmation is given (again) that the Pokemon anniversary will be boosted by restocks of Charizard, Jigglypuff, Greninja and Lucario. Finally, the Mario and Sonic amiibo will be compatible with Mario & Sonic at the Rio 2016 Olympic Games, which we previously briefly saw in a Japanese commercial. Both unlock outfits that give their respective characters special powers; that game arrives on 18th March in North America, in case you'd forgotten. So there you have it, an amiibo news / reminder bonanza. Is any of this particularly exciting to you? Did they forget about M&s 2016 Wii u version? Just Star Fox Zero please, can't be bothered with amiibo anymore after I get the Wolf Link one - can't I just play games instead of feeling pressured to collect toys. Stop with the Famitsu scans/leaks and amiibo press releases and give us a new Direct, Nintendo. @wazlon i feel pressured as well. They're practically forcing us at gunpoint. Let's see, on March 18 we get: 2 new games, 7 new amiibo, pokemon amiibo restocks, and a new amiibo card series. It's clearly a busy day. I'm glad jigglypuff is getting a restock, since that's the only Pokemon based Amiibo I don't have. Will probably end up grabbing the other amiibos too. It will be interesting to see what unlocks the amiibos will do in star fox. I'd like to get the PokéMon amiibo, and already have Pikachu and Jigglypuff, but they don't do enough, unless Pokkén Tournament aims to use them somehow. @abbyhitter They're probably saving it for a more opportune time, presumably around when Fates comes out to detail it, Pokemon, the Bayonetta re-release, the Smash Bros. DLC, Twilight Princess, and other stuff coming out closer to that time. Oh god, this means another amiibo line I'd want to get. Poor wallet. "that game arrives on 18th March in North America,"
Any chance on clarifying "that game" as 3DS, Wii U or both? I'm pretty sure it's 3DS, but a little clarification wouldn't hurt. "There's also confirmation that the next series of Animal Crossing amiibo cards will also launch in March, apparently taking the collection to 300 in total." I believe there are 100 cards in each series, so I surmise that 300 number implies series 3. I'm not following them though, just a little deductive reasoning on my part. Also, this is from an NOA press release, so if you live in another country your dates may vary. Hope that helps. Will the Pokemon restocks hapen in Europe to? I finaly might be able to get a Greninja. More game content locked behind amiibo. I am going to guess missions and such will be locked. I'd like to get that Roy amiibo, but considering it is a new FE figure my chances will be slim. @wazlon : I agree, and i won't give in. Its terrible that Zelda TP HD "requires" 4 different Amiibo's. And Mario & Sonic 2016... Only costume unlocks. We can complain about bad unlocks, but in a way better than a Dungeon locked with a Amiibo. Something that no one has mentioned. Europe gets all of those amiibo the same day as NA, so it seems the date disparity is becoming a thing of the past, at least in the West. Yay my impulse buy Falco amiibo will be uniquely useful now, I assume. So begin "The March of the amiibo"
I still need to get Fox because he's a great figure, but I barely use my Amiibo and just want the game. I haven't played Star Fox since the SNES days and I remember how much fun I had. Kiddo will be thrilled to hear Charizard and Lucario will be restocked, Pokemon is her most favorite thing ever. I'm waiting for restocks of Ness, Dedede and Metaknight myself. @rjejr Just the 3DS version, the Wii U version comes TBA 2016. I don't mind amiibo since the multi-title play makes the purchase more valuable (in theory) than the other titles. But Nintendo has GOT to make getting them easier. @SuperChris01 Well I know the game is coming to both systems, I was referring to the release date. The last I saw only the 3DS was scheduled to release that day, the Wii U version wasn't dated yet. Maybe b/c of SFZ, PT and TP HD, or maybe b/c it isn't finished yet? More SCamiibo functionality. So depressing! @NintyMan Exactly. Platinum Games' games have solid shop systems... Maybe in Star Fox Zero's case the shop will be in form of a hanger (remember the wallpapers on the game's official website) where you can but stuff to upgrade your Arwing (and the other vehicles, too), whether it's for the long term or just for the next mission. Amiibo could unlock vehicle liveries and even change the shape of Smart Bomb explosions; for example, a Kirby Amiibo could unlock a Kirby themed livery and that vehicle will shoot a Smart Bomb that explodes in the shape of Kirby's face (like special fireworks). Heck, it could even unlock more features than the two mentioned above. I just want a Direct detailing this game. 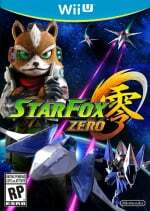 Of all the games supporting amiibo in the last Direct, it had to be Star Fox Zero's that wouldn't get talked about! That looks like another game crossed off my list, at least until it appears in the bargin bucket. Now it is confirmed what the delay in releasing the game was, more Amiibo content. Absolutely ridiculous. Nintendo was gone nuts. Starfox I bet will not get more than 80%. 80% may to some seen OK, but for a top Nintendo franchise game, that sort of score would not sell consoles. "Now it is confirmed what the delay in releasing the game was, more Amiibo content." Source, please. This article only confirmed that there would be some amiibo functionality. Canceled my Star Fox Zero pre-order, but if there's a really nice Arwing amiibo or something, I'll support Star Fox that way instead. EDIT: Oh, wait, it'd have that God awful orange 0 on it, wouldn't it? Yuck, maybe not. @zool the delay was to improve the look of the game. That has been confirmed and you can already see it in comparison videos. Hmmm, I wish they'd gone full hog with amiibo functionality on Mario and Sonic; that potentially could have given us a full range of Sonic amiibo which would have been nice. God I really hate amiibo now. @zool that's what they want you to believe and you do. @Vee_Flames common sense. A company like Nintendo do not have to delay a game because the graphics were not good enough. Why would they make a game with poor graphics anyway? @faint because Nintendo has a habbit of unlocking levels, minigames and such from games with amiibo and seeing how Star Fox is more like flying missions, it would make sense. I think we're getting a big press release on February 2nd for wii u and 3ds stuff. @zool They announced the amiibo support last E3 when they said they would make Fox and Falco compatible. That's also why Falco's amiibo was supposed to launch with Zero on its original 11/20 date. Remember the days when we just bought video games? Amiibo here, amiibo there...Why are people excited about having to pay extra for content that should be in the game anyway...Nintendo haven't had a single game except Smash where they've actually used amiibo in a unique and cool way. I only want Roy, any word on when we will see him here in Europe? @ikki5 I'm curious: what games have had actual levels locked behind amiibo? As for minigame challenges, cosmetic options, and this sort of 100% unsubstantial content, I'm completely fine with that. Can you imagine another company announcing lots of DLC (Disk Locked Content) as a feature and getting praise for it? But because Nintendo does it as Amiibo it gets away with it. @ricklongo Splatoon has minigames and challenges, Twilight Princess has an entire dungeon, Mario Party has a whole game mode that is similar to the retro style. Instead it is only the crappy car mode available as your "standard" Mario Party. Shovel Knight, you have an entire game mode in which it is the only way to play multiplayer though I guess this one isn't exactly Nintendo but at the same time, it won't help remedy the problem. Captain Toad has an entire game mode locked behind amiibo though.. this one actually isn't too bad as it was developed after the game's initial release so it isn't as much locked on disc content. Mario Maker had a whole new strategy when it comes to beating levels that could never be achieved by any other way except for the limited edition amiibo. In the end, I am getting tired of Nintendo not selling me the whole game now with every one of their products and instead, I will need to spend a little extra to get at least one amiibo (often times multiple) to get all the content. @NintyMan Content is content no matter what it is. And it's not right that some content is locked behind a stupid toy. @ricklongo Splatoon gave some fun remixes of the single player levels. Basically select levels from single player with a different weapon. It was fun but the meat of Splatoon is the multiplayer. Captain Toad had some awful shoe-horned in mode. Find the pixel Toad. They placed a sprite of a Toad in each stage that you had to find and tap, and called it a new game mode. Mario Maker only had the 'Big Mario' power-up which made the screen look old, put mustaches or Mario hats on the enemies and made Mario smash through the entire level. It's not even remotely a strategy as others describe it. If anything it removed the gameplay. Plus it's something you use to build levels with so you can experience it if you play someone else's level that uses it. All the other costumes do nothing and can be unlocked by standard play. Shovel Knight does apparently unlock two player mode. Which in fairness was added much later to a game designed for one player, after they already doubled the game in size for free with the 'Plague of Shadows' expansion and was made specifically for the Amiibo. It is probably the most legitimate complaint people make though. I have the Amiibo but I've not bothered to scan it. Mario Party does unlock some special mode but I don't have it so I don't know the full details. It sounded a lot, but Amiibo functionality always sounds way more than it is. I say this as someone who likes Amiibo and owns about 30 figures and 200 cards, the content is entirely superfluous. I rarely even bother scanning them in. Oh and the Twilight Princess 'new dungeon' is simply fighting waves of enemies, like the den of trials. There may, if rumour be true, be a special costume at the end.... which is apparently exciting to some. 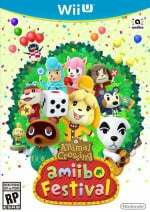 The only game that actually needs Amiibo to function is the Animal Crossing board game thing nobody likes. The only one I've found legitimately useful was Yoshi for Wooly World, but in reality it was more of a cheat scanning him when I had no eggs. Plus the knitted one is really the only actual toy that can be played with, the rest are more display pieces. Woopee, more potential Day 1 DLC, possibly locked on disc content, for a major Nintendo 1st party title. I'll pass. Nintendo has gone to the dark side of DRM. Because Nintendo said DLC locked behind a toy is OK. If anyone else did it, they'd be bringing down gaming but if its Nintendo, they hand over their money. Take away Amiibo news and NX speculation and there is no news. Q) Is any of this particularly exciting to you? A) The Star Fox Zero amiibo news is sort of exciting, although it is hard to get excited when you don't know what the usage of the amiibo will be. This does make the possibility of a Slippy amiibo even more likely, which will have me very excited if that is the case. Currently, I'm going to predict that the Star Fox Zero amiibo usage will be akin to Yoshi's Wooly World, using as many of the pre-existing amiibo to change the colours of the Arwing, Landmaster, Gyrowing, and any other such vehicles. The Fox and Falco amiibo (and potentially a Pepper, Slippy and further Star Fox character amiibo's) will have an additional use. Of course, this is just a random speculation lacking in evidence, but it is my current prediction. @electrolite77 I think there are a couple of reasons why the usage of amiibo has been better received than regular DLC, and I don't see it being simply because Nintendo is doing it. The first reason is that it is physical; you are getting a toy/figure alongside the DLC, or for some, getting DLC alongside the toy/figure. It has a physical presence that gives the sense of ownership, and feels like an extra for what you're trying to get. I'd say the 'because Nintendo did it' part only comes into play here in that many of Nintendo fans would have wanted figurines of many of these characters, regardless of their usage for games. The second reason, and this for me is the bigger reason, is that even if I were to consider the amiibo figurines as merely DLC, they also happen to be DLC that works across multiple games. Take for instance one of the Splatoon amiibo's; their main purpose is to open up challenges in Splatoon (which I can admit, is irritating to have locked by an amiibo), but that same figure will also unlock a costume in Yoshi's Wooly World and Super Mario Maker. Furthermore, that same amiibo also has a general use with Hyrule Warriors. So even if I were to count that one amiibo figure as nothing more than DLC, it happens to be DLC that works across at least four games, and potentially more in the future. Of course, this all depends on ones stance on amiibo's, as there are plenty who'd say that amiibo's don't count as DLC at all. For me, I do to a degree, although as I've pointed out above, I find to be a very efficient and fair usage of DLC due to it's multi-use nature. @Ogbert Well, yes, that's precisely what I'm talking about. Amiibo functionality in games has mostly been precisely what one would expect: cute addons that are ultimately inconsequential to the game at large. That's why I can't really understand people complaining about the figurines. They're nice little things to put on a rack and eventually use in a few games, and that's exactly why I own the six or seven I currently do. Thank goodness they aren't the kind of stuff that's necessary to play games with - that would indeed be a problem in my opinion. @ikki5 I consider all of those to be completely inconsequential as far as enjoying those games go. They're nice little addons. I got Splatoon for the campaign and online multiplayer. I got Captain toad for the content on disc. Shovel Knight has a TON of content already for the mere 15 dollars it costs, and there's even more free content coming. Mario Maker has ways to unlock costumes without amiibo, and while the giant mushroom exclusivity is kinda sad, there's so much stuff to do in that game already that I'd never feel like content is actually being held back from me. It's one thing to release half-assed games that need DLC (physical or otherwise) or microtransactions to even be called a full product. But this is absolutely not the case here, as those are honest-to-goodness full releases without the amiibo support. Would you honestly disagree with that? I completely agree with what @souldin wrote, by the way. @ricklongo So... by your logic, as long as there looks to be a lot of stuff, it is alright to not get a full game upon purchase for all Nintendo games even though some of the features that are there would normally be included in the games and that you'd need to spend at least a minimum of $16 (Canadian price, not sure what the Brazil price is), on top of the already $70 to get the full content of game modes, mini-games, full game use, etc.. I understand that the use in multiple games can be seen as a justification, it certainly muddies the water in terms of overall cost to the user (which will vary). The point is still the same though. However inconsequential or otherwise the content may be deemed, its still locking content away from gamers. Whether it be an impulse-buy priced purchase on XBL or PSN, or a cute toy, the principle is the same. No longer do people get the full game when they buy a Nintendo game. @ikki5 @electrolite77 My point is that I believe I'm getting a full game, and that the amiibo content is just extra inconsequential stuff thrown on top. None of the Nintendo games I got since amiibo fihurines were introduced felt like they were lacking anything substantial that were then provided by the amiibo functionality - like I said, they are honest-to-goodness complete games. And when the extra addons provided by amiibo are as inconsequential as they have been, I fail to understand what the fuss is all about. Your Yoshi's Woolly World won't be an incomplete game because you don't own a Ness amiibo to get a special yarn costume, nor will Splatoon be any less fun because you can't unlock that samurai helmet. Amiibo so far have been just extra stuff on top of complete games, just like, say, the Hearts of Stone DLC for Witcher 3 (which I haven't gotten, and don't feel for a minute that my Witcher 3 playthrough was any less fullfilling because of it).